The biggest sports scandal of all time happened in 1919. The Chicago White Sox played the Cincinnati Reds in the 1919, best out of nine, World Series. The White Sox during this year were arguably the biggest powerhouse in baseball history. They were the high favorites to win. Suddenly, they started playing poorly and lost the World Series. There was growing suspicion that some individuals were throwing the World Series around the country. This is their story. The Chicago White Sox were underpaid. Charles Comiskey, owner the the White Sox, also did not treat his players all that well (“Sox Accused of Throwing World Series”). Comiskey was so cheap that he wouldn’t even pay for the uniforms to be cleaned. He expected that to be the player’s job. The name “Black Sox” has been rumored to originate from the uniforms being darker and dirty due to lack of cleaning (Black Sox Scandal). It all started when when the Chicago White Sox first baseman, Chick Gandil, was at his hotel in Boston. There, he asked a major gambler of the time named “Sport” Sullivan to come talk to him at his hotel room. He had an idea to throw the World Series that was upcoming in three weeks and wanted to present it to “Sport” Sullivan. After some talk, Sullivan and Gandil agreed. Eighty thousand dollars is what Gandil requested for him and the players in order to throw the series with (Asinof). Buck Weaver, Eddie Cicotte, and Oscar “Happy” Felsch also had thoughts and talks about throwing the series. Felsch and Weaver were on board due to their need of money. A utility infielder named Fred McMullin and the shortstops, “Swede” Risberg were both immediately in. Eddie had severe financial issues and Gandil was aware of this, so he knew he should target him. Cicotte was not on board yet. After some persuasive talking, Cicotte gave in. He had one demand however, he must be delivered ten thousand dollars cash before the World Series would start. Cicotte soon found the money under his pillow. 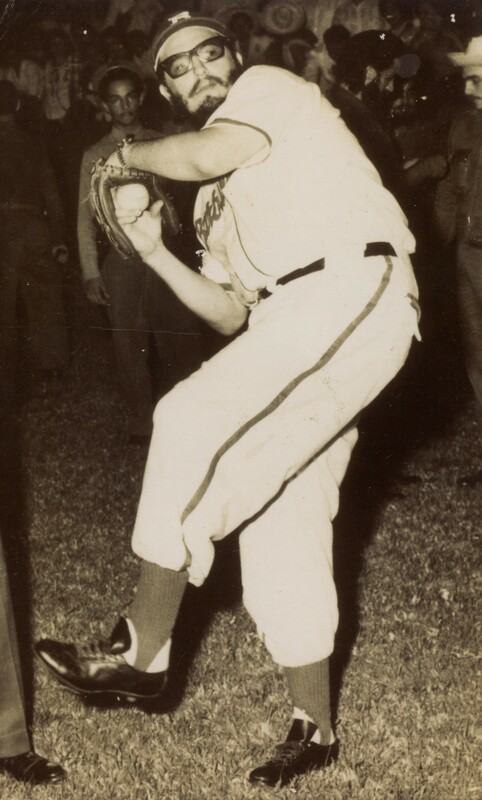 Gandil needed another pitcher for the fix so he easily convinced Claude “Lefty” Williams. Gandil then got Joe Jackson, a dominant hitter of the era, to join. Gandil now had Felsch, Weaver, WIlliams, Risberg, Mcmullin, Jackson, and Cicotte on board to orchestrate their plan (Douglas). Chick Gandil had a meeting with the gambler Sullivan. He told him that they would throw the series if he could provide the eighty thousand dollars. Sullivan didn’t know if he could raise this much money so quickly (Douglas). There were rumors spreading around about a fix and those rumors reached gamblers, “Sleepy” Bill Burns and his partner Bill Maharg. They wanted in, so they found Cicotte, and told him that they would top any offer Sullivan would make. Cicotte, intrigued by this, had him and Gandil meet with Burns. With an offer of one hundred thousand dollars over Sullivan’s eighty thousand, they would work with Burns and Maharg. The two gamblers went to meet Arnold Rothstein, the most notorious gambler in all of America. He was busy and sent Abe Attell, his partner to speak with him. Attell reported the facts to Rothstein. Rothstein was not a fan of the idea and didn’t think it could be done. This news was also transferred to Burns and Maharg (Asinof). Abe Attell knew this was a chance to make a fortune. He reported to Burns that Rothstein had changed his mind and would put up one hundred thousand dollars. Sullivan was not done yet trying to get a fix in place. He too contacted Rothstein, and Sullivan was well-liked by him. Rothstein liked the plan, so he sent his partner, Nat Evans to Chicago with Sullivan to speak with the players. The players demanded eighty thousand dollars and Evans would get back to them. When he went back to Sullivan only forty thousand dollars were delivered to Sullivan. Rothstein gave Evans half the amount of money to Sullivan because he wanted to make sure the World Series fix would go as planned. His idea was to later distribute the other half of the money. Rothstein started betting big for the Cincinnati Reds to win it all. Instead of the White Sox getting the forty thousand dollars, they only received ten thousand. Sullivan withheld the money and decided to bet thirty thousand on the Reds and would pay the players later. The remaining ten thousand dollars that Gandil received was placed under Cicotte’s pillow as mentioned earlier. The players were absolutely furious when Sullivan only delivered ten thousand so they held a meeting with Abe Attell. He would not pay the players in advance. He explained that he would pay them twenty thousand dollars for each loss in the series. The players were upset, but would decide to throw the first two games with Cicotte and Williams starting (Asinof). Before the series had even started there were rumors of a possible fix (Andrews). October 1, 1919, was Game one of the World Series with the Chicago Black Sox playing the CIncinnati Reds. Ace Eddie Cicotte was starting that day. The plan was that Cicotte would either walk or hit the first to batter to signify of the fix was on or not. The first pitch was a strike. Rothstein was watching the game in New York via telegraph reporting and he had a sense of stress with the first pitch being a strike. The next pitch however, struck leadoff hitter Maurice Rauth in the back. The fix was officially on. As the game went on Cicotte was grooving pitches to the Reds. He was being shelled. There was hesitation when he fielded a routine double play ball and there was no double play. The final score of game one was nine to one. After the game Charles Comiskey held a meeting with team manager, Kid Gleason. Comiskey asked Gleason if he thought there was a fix unfolding. Gleason responded that something seems off, but he couldn’t be sure of anything. Claude Williams took the mound for game two. His specialty was his control. His control was “off” that day. The Reds won the game, four to two. The catcher of the White Sox, Ray Schalk was furious and suspicious. He ranted to Kid Gleason, “The sonofabitch! Williams kept crossing me. In that lousy fourth inning, he crossed me three times! He wouldn’t throw a curve.” Gambler Burns delivered Gandil ten thousand dollars for the loss, not the twenty thousand dollars promised for each loss (Douglas.) Before game 3, Burns consulted Gandil to see what they were planning. Gandil lied, saying that they were planning to throw this game as well. They didn’t feel like helping Burns because he has not been delivering anywhere near the right amount of money. Burns had his money on the Reds, but Chicago won three to zero. The fix would be over if Gandil didn’t receive twenty thousand dollars, he told Sullivan and he produced it. Jackson and Williams were paid off five thousand dollars each. Game four was won by the Reds because of two crucial fielding errors by Eddie Cicotte. Game five was also lost with Felsch “misplaying” and “miss throwing” two balls. Gamblers were still failing to produce money. The Sox rebelled by winning the next two games. Game Eight however was thrown. Williams had more “control” issues. The Reds won the 1919 World Series, stunning the nation (Asinof). The country had its suspicions of a fix. Comiskey and many others thought the series was just hard fought. Comiskey did have a private investigator however. Then in 1920, Abe Attell and Kid Gleason accidently ran into each other. Abe said, “You know, Kid, I hated to do that to you, but I thought I was going to make a bundle, and I needed it.” Gleason went to the press, but couldn’t get anything published in fear of being sued. Rube Benton, a Giant’s pitcher, was called to testify to the Grand Jury of Cook County based on his knowledge of a fix between a Cubs-Phillies game. He testified that Burns had sent his teammate on the Giants a telegram stating the White Sox would lose the 1919 World Series. He also stated that Gandil, Felsch, Williams, and Cicotte were part of it (Douglas). Cicotte decided to talk and he testified to the grand jury, “I don’t know why I did it. I must have been crazy. Risberg, Gandil, and McMullin were at me for a week before the Series began. They wanted me to go crooked. I don’t know. I needed the money. I had the wife and the kids. The wife and the kids don’t know about this. I don’t know what they’ll think. I’ve lived a thousand years in the last twelve months. I would have not done that thing for a million dollars. Now I’ve lost everything, job, reputation, everything. My friends all bet on the Sox. I knew, but I couldn’t tell them.” Joe Jackson testified next. After he testified, a little kid came up to him, tugged on his shirt, and said “Say it ain’t so Joe, Say it ain’t so.” This was a gut wrenching moment for Jackson. His other teammates were furious with him for testifying. They knew they’d be caught now. Later that day, Comiskey sent the eight ballplayers a telegram stating they all have an indefinite suspension. Abe Attell and Sullivan’s attorney, William Fallon knew he had to protect Attell and Sullivan from being caught up in this scandal. They were paid for to flee the country. Alltel fled to Mexico and Sullivan fled to Canada. Shortly after, Williams and Felsch testified. Fallon was also Rothstein’s lawyer. He had Rothstein go testify to the grand jury acting like he was tired of being thought as part of it. He said, “I’ve come here to vindicate myself….The whole thing started when Attell and some other cheap gamblers decided to frame the Series and make a killing. The world knows I was asked in on the deal and my friends know how I turned it down flat. I don’t doubt that Attell used my name to put it over.” This worked and Rothstein was not indicted. The eight ball players and all other gamblers were indicted on. nine counts of conspiracy to defraud various individuals and institutions (Douglas). Mysteriously, papers disappeared from the courthouse. These were extremely important papers because they contained the players’ confessions. No one knows how they really “disappeared.” Many believe they were stolen to help cover up for the players. The prosecution could not use the confessions now (Andrews). Ban Johnson, president of the American League, brought Burns to testify in the new case called State of Illinois vs Eddie Cicotte et al. With paperwork missing that including the confessions, Johnson knew that Burns could be crucial to tying the players to the scandal. Johnson promised Burns immunity, so Burns accepted. He described all the meetings with seven players attending (Joe Jackson wasn’t in attendance) and Maharg later confirmed what he said. The Judge on the case told the jury that in order to have a guilty verdict, the players’ intent must have been “to defraud the public and others, and not merely throw ball games.” The defense attorney stated their case saying, “there may have been an agreement entered into by the defendants to take the gamblers’ money, but it has not been shown that the players had any intention of defrauding the public or bringing the game into ill repute. They believed that any arrangement they may have made was a secret one and would, therefore, reflect no discredit on the national pastime or injure the business of their employer as it would never be detected.” The jury came back with their verdicts. The Chicago White Sox were all found not guilty. The new commissioner of baseball made a statement the next day. Judge Landis said, “Regardless of the verdict of juries, no player who throws a ballgame, no player that undertakes or promises to throw a ballgame, no player that sits in conference with a bunch of crooked players and gamblers where the ways and means of throwing a game are discussed and does not promptly tell his club about it, will ever play professional baseball.” All eight White Sox, later called the “Black Sox” were permanently banned from baseball and to never be let in again (Andrews). The scandal opened the eyes of the American people. Baseball was always reputable and as a result of these individuals conspiring, its reputation was now was tainted. This scandal showed the world the increasing gambling issues underlining sports. The scandal also revealed how easily people were willing to ignore their integrity and were swayed by money. This was an infamous event in baseball that was considered “Un-American” and is still a topic of interest in the sporting world today. December 22nd, 2014 Leave a comment	MLB Past	David S.
Right know I don’t know if I want to ever buy another Brewer jersey in my life. Whenever I do, something bad happens or the player gets traded. Literally a few days ago I bought a Mat Gamel shirt and guess what happened…he’s out most likely for the season. And before last season I bought a Corey Hart shirt and then he goes and gets hurt and he was out for over a month. A few years ago my favorite player was J.J. Hardy and my brother bought me a retro Brewer jersey of Hardy for my birthday. Believe it or not J.J. Hardy got traded and I was sooooooo angry. In 2008 I got a C.C. Sabathia and a Yovani Gallardo shirt. Then Gallardo gets hurt and C.C. goes to the Yankees. Then in 2011 I got a Greinke shirt. He would get hurt and miss several starts. I also got a Casey McGehee T-shirt, then he started stinking up the place all season and then BOOM, he’s gone. Should I get a Taylor Green jersey????????? May 6th, 2012 8 Comments	Brewers, Injuries, MLB Past, MLB Today	David S.
Wow. Prince Fielder and Miguel Cabrera hit two home runs as the Tisers destroyed the Red Sox 10-0. It looks like Prince Fielder has settled in fine with the Tigers. I already miss the memories of him hitting massive shots at Miller Park. Alex Avila also hit just one homer. Detroit didn’t like seeing Doug Fister go only 3 2/3 innings with an injury to his left side. Now Fister is on the disabled list for 15 days. All together they racked up 5 home runs. Josh Beckett got shelled. He let off 5 home runs and 7 runs. if you look back to last season he didn’t let his 5th homer come untill June 28. Not a way you want to start a season for sure. The loaded Boston line up couldn’t put together any runs at all. Jacoby Ellsbury, Kevin Youkilis, Cody Ross and Mike Aviles have been hitless the first 2 games. Boston puts itself at 0-2 hoping to bounce back today on Easter. April 8th, 2012 4 Comments	MLB Past, Prince Fielder	David S.